DHCAE Tools has, based on the renowned CFD toolbox OpenFOAM®, made extensions for a comfortable and professional usage of open source solver technology in an industrial environment. 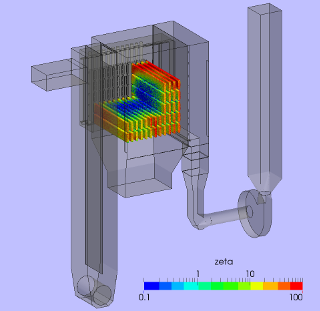 The simulation tool can be deployed in every field of filtration of solid particles from gases or liquids with thin filter media in a plant or a unit. an energetic process optimisation due to a lower pressure loss. The utilised modelling is based on the so-called Euler-Lagrange approach, that takes account of the coninuous flow and the dispersed solid particles. In the simulation tool, especially the reaction of the particles on the filter is considered, e.g. the continuous shift of the flow into zones with lower resistance. 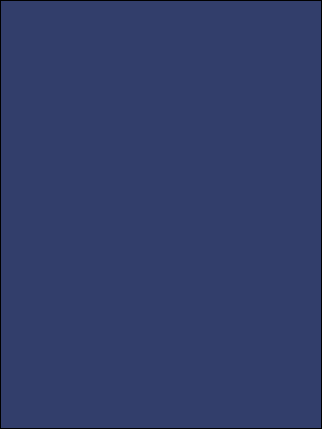 The filter is modelled by a region. This allows a simple setup in the CAD system and poses a much lower requirement to the mesh generation than a volume based modelling. The textfile based work, as usual under OpenFOAM®. 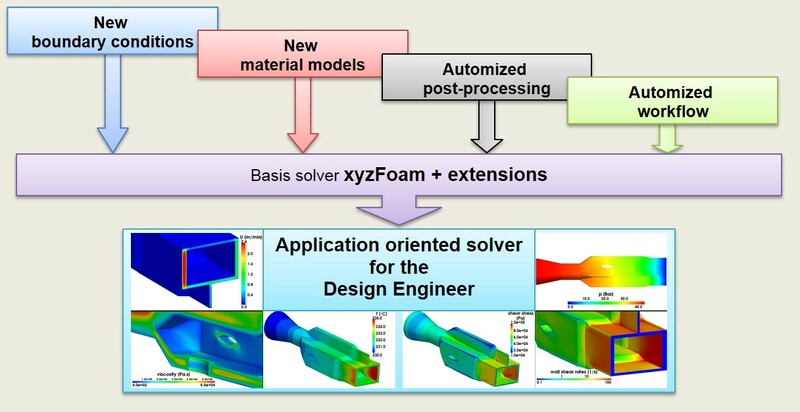 This working method is suited for advanced OpenFOAM® users, or if you have already integrated a CFD workflow for OpenFOAM® in your company. 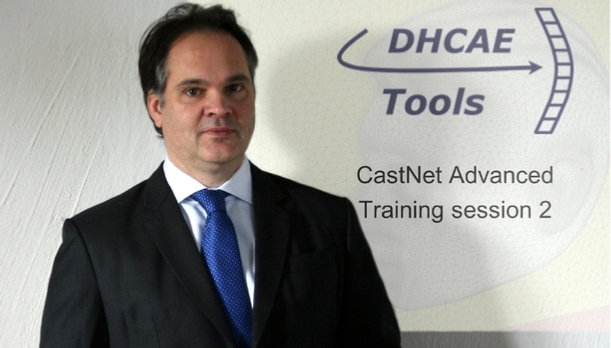 Alternatively, you can define your filter simulation case in CastNet. 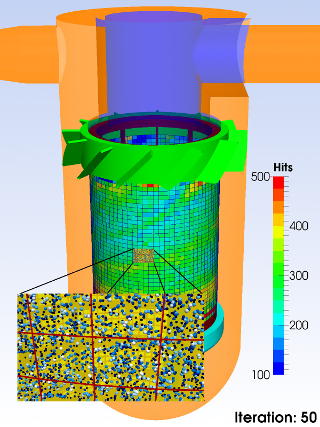 By specific adaptations and extensions of OpenFOAM® for filter applications, DHCAE Tools created a cost-efficient, reliable and stable simulation tool for the filter industry. The filter regions can directly be selected in the CAD model. The definition of the filter parameters and the solver features in the coupling of the particles with the continuous phase is directly carried out in the GUI. By prefabricated or self-produced templates, the simulation case is defined with just a few clicks. The whole process with all result files is integrated into the automatic workflow. A support and adaptation package is always included in the package for the filter solver. By this, we adapt the solving possibilities of the tools to your specific requirements. If you need, for example, a special form of loading characteristic for your filters, it will be provided by us immediately. We also support you with the usage of the solver. 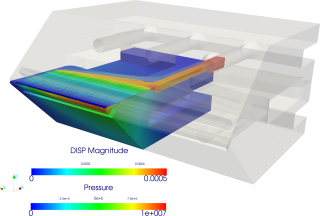 By the simulation of polymer melts, production processes can be reduced considerably. The pressure use can be reduced by an efficient design of the tool, the production speed can be increased and the operating time between the die cleanings can be prolonged. The extruded product shows a higher quality as e.g. 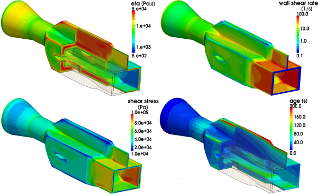 thermal loads or loads caused by high shear rates are minimised. Futhermore, an optimised tool design reduces the necessary commissioning. Overall, the costs for the production of extrusion dies and the production costs during operation are reduced significantly. DHCAE Tools has created a tool that enables the solving of static fluid structure applications directy from a modelling environment. CalculiX (open source) as well as Abaqus can be used as structure solver, in case Abaqus is available in your company. The solver is suitable for solid fields and shell elements. It uses an iterative coupling with a consistent transfer of the pressure forces and shear stresses on the structure. The shifted geometry, as simulated by the structure solver, is transferred back to OpenFOAM®. Here, a geometry update takes place, and the flow forces are transferred from the deformed geometries on the structure solver. This procedure is continued as long as a convergence between the flow forces and the shifted structure is achieved. 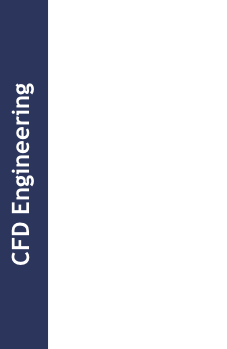 By the data conversion from CalculiX results to ParaView, which was made available by DHCAE Tools, the results of flow and structure can be shown simultaneously. Automatic initialisations: The fields and initial conditions are automatically predefined with stable settings resulting in fast convergence of non-Newtonian fluid simulations. Stabiliser for the solver settings: An additional stabiliser module manages the automatic change from stable to accurate solver settings (discretisation methods, relaxation factors etc.) during the simulation run. Many steps of plastics processing operations must consider the working temperature of the polymer melt. Temperature dependent viscosity models: For the correct condiseration of the temperature dependancy of the Non-Newtonian material models, shift models as Arrhenius or WLF (Williams-Landel-Ferry) equations are available. 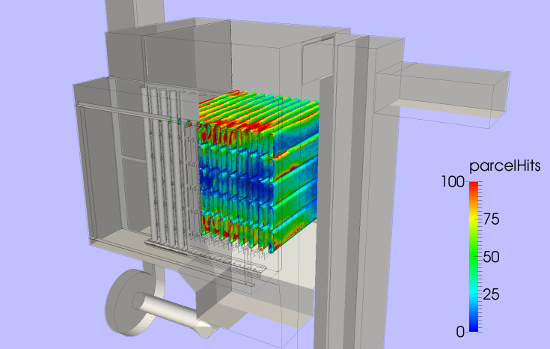 Thermal load: To achieve a high product quality, maximum temperatures and residence times are computed by the solver and critical areas can be located during post-processing. Viscous heating: The viscous heating is computed by the solver together with temperature transport. Heat convection and conduction: The heat convection by the flowing melt in combination with the very low thermal conductivity of plastics result in complex temperature distributions during processing and cooling processes. A great number of boundary conditions is available for simulation. Fluid-Structure-Interactions (FSI) occur when forces exert on an elastic solid by a flow and cause stresses, distensions or shifts. On the other hand, the flow can be influenced when shifts in the flow field are generated by external forces on an elastic solid. In both cases, the assumption of a solid wall, which is typical in the mere flow simulation (CFD), is quitted and replaced by the elastic modelling of the solid. 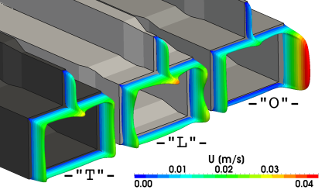 By this, the fluid structure analysis shows the coupling of a CFD simulation with a solid problem. 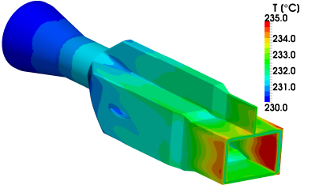 Are you looking for a proven expert who councels you also in the optimisation of extrusion dies with simulation methods, and who trains your employees to lay out extrusion processes efficiently? For a test of the filter simulation, a comfortable test environment with examples is available for you via the Internet. Here, you can directly test your filter application and evaluate, which hardware resources will be required by you later. 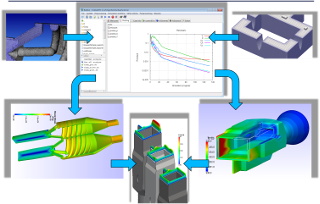 The combination of the GUI based pre-processing abilities of CastNet with the extended solution possibilities of the excellent flow simulation solver OpenFOAM® allows an efficient tool design for a great number of application areas in the plastics processing industry.